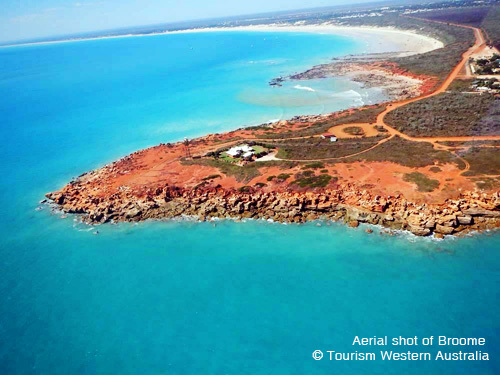 Broome is Western Australia’s secret hideaway and recognised as the gateway to the vast Kimberley Region. Tarangau Caravan Park – The Quiet Alternative. Set behind the dunes of Cable Beach. Within walking distance to restaurants and cafes as well as Cable Beach itself, which boats 22 kilometres of sun-kissed white sand and turquoise water. Tarangau Caravan Park is a quiet park where you can relax and enjoy your tropical holiday. Go swimming, ride a camel along the beach, do some fishing or watch the magnificent Cable Beach sunsets. Our location is perfect for travellers wishing to visit Broome and Cable Beach but also for the more adventurous wishing to explore both Cape Leveque and further into the Kimberley region. Our friendly Reception staff provide a fully operational tour booking/information office with a great variety of both day and overnight tours available to suit all budgets and tastes. With tour companies collecting you from the front of the Caravan Park and returning at the end of the day, it is a hassle free way to make the most of Broome, Cable Beach, Cape Leveque and the vast Kimberley region. We look forward to welcoming you to our wonderful caravan park at Cable Beach, Broome and making to your holiday experience a memorable one!